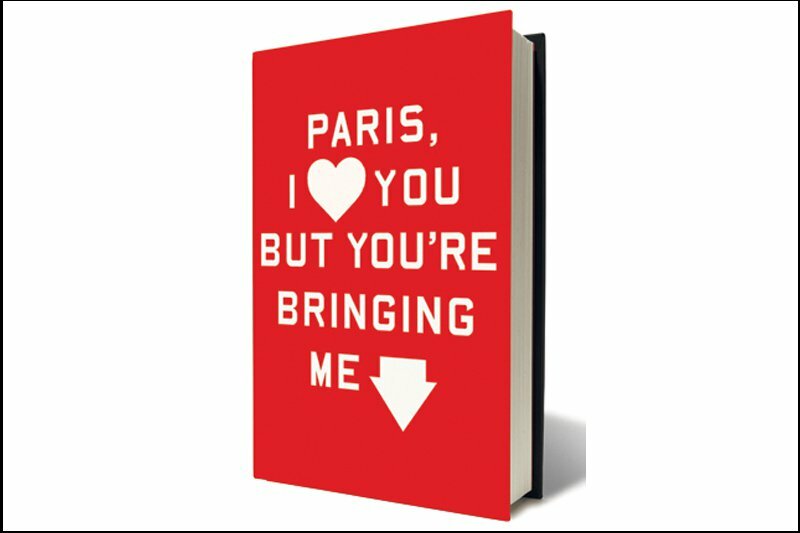 An American writer in Paris examines the modern realities of the world's most fetishized city. An excerpt from Rosecrans Baldwin's new book, . As summer arrived, the air was pollen-saturated. Buds cracked, flowers bloomed. People at the office carried around tissue packets, sniffling in the elevator. Paris was incandescent, alternating between sudden rains and bursts of sun. Each evening the light stretched later. One Sunday morning, Rachel and I went for a walk in our neighborhood. People were strolling around carrying food to one another's homes. A furniture market was being set up on Rue Bretagne. We turned down an alley and found a two-man marching band serenading the block — an old man playing cornet and a young guy carrying a bass drum with a local politician's name written on its face. Then on Rue de Saintonge we saw Audrey Tautou, the actress from Amélie, going around a corner. She was wearing sunglasses, accompanied by a tall man in an undershirt and scarf. Rachel said, "Funny how much smaller she is in real life. She was already tiny on the screen." The next week, dozens of teenagers stopped traffic on the Champs-Elysées. They were screaming, singing, and carrying homemade flags. They wore tight pants and fabric flowers pinned to their chests, and were followed by sixty police officers on skates in riot gear-elbow, knee, and shoulder pads-like a Roman formation of Rollerbladers. I asked François what the kids were protesting. We were standing on the balcony. He squinted, staring at me, then looked into the sun. "That it's May," François said. "They're celebrating being French, that they're young." "You will never understand, I'm sorry," François said, laughing. A new regular joined the lunchtime group. She was probably in her mid-eighties, slightly taller than Sarkozy. And formal: she wore pearls to lunch. Her hair was a winter garden. Each day, she read a newspaper at her nose for an hour. Before that, however, she'd lay down an orange napkin on the lawn, and on top of it she'd leave a salad of red pepper, haricots verts, and some greens, and next to it she'd place her pet tortoise. Her tortoise was the size of a five-pound chicken. The first time I saw Madame Tortoise, the tortoise ate its lunch, then went for a walk. There weren't many people around, so it was easy for him to cross the park uninterrupted and climb one of the hills to the base of a big tree. Total voyage took fifteen minutes. Under the tree, he turned a slow circle, stopped, and took a nap — just another one of the park's natural features. The next week, I got to the park a little late, and Madame's tortoise had already gone on his walkabout. This time, though, some businesspeople were sitting under his tree. The tortoise wasn't bothered. He was a punk, a mean little dinosaur. He pushed in and nudged a lady's rump, and she looked back and screamed when she saw his beak crank open. Madame Tortoise heard the noise and slowly rose to reclaim her pet. That took doing: Madame Tortoise wasn't much faster than a tortoise. It took her almost two minutes to reach the tree with her cane. When she'd arrived, Madame removed her glasses and peered down, paying no mind to the businesspeople — all of them had stood up — and made sure her pet was fi ne, then returned to her bench empty-handed. Twenty minutes later, when the tortoise woke from his nap, the office workers moved their lunch bags so he could pass, and he clomped his way home. There, at the napkin, he ate some apple slices and went to sleep. The everyday reality of Paris always trumped for le plaisir. Rosecrans is a writer in North Carolina. He travels for the fun of it.